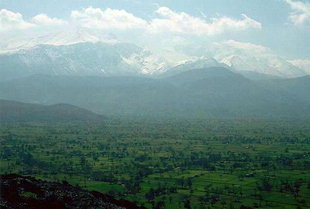 The mountain range in the Lassithi Prefecture is called Dikte. 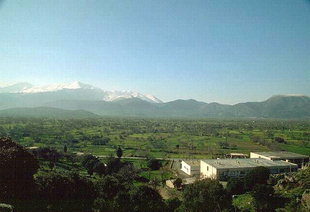 Its tallest peak is Mount Dikte, 2148 metres above sea level. On the north side of Mount Dikte, in the Lassithi Plateau is the Dikteon Cave where legend says Zeus was hidden from his father, Kronos. The Lassithi Plateau with its distinctive windmills is surrounded by the peaks of Dikte and it lies at a height of 850 metres above sea level.